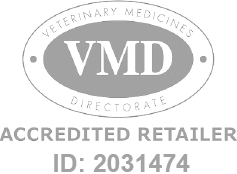 Advantix Dog 400 is a Prescription Only Veterinary Medicine and by law requires a prescription from your vet. Advantix 400 for dogs is an effective parasiticide used in the treatment and prevention of external parasite infestations in dogs. Once applied, Advantix repels parasites such as fleas, ticks, sand flies, mosquitoes, and stable flies by paralaysing and inhibiting the life cycle of the parasite. With its unique properties, Advantix for dogs can be used as part of a treatment strategy for flea allergy dermatitis (FAD).